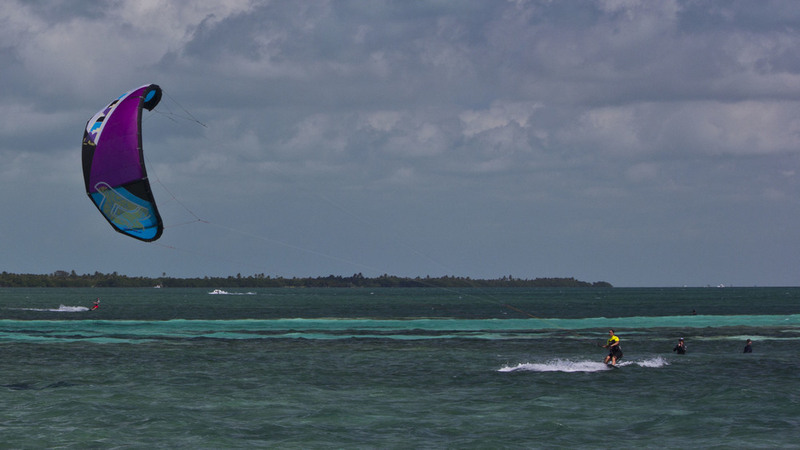 This is intensive 3 half-days course - extension of introduction lessons for those who want to get more into kiteboarding. We will go through the introduction lesson (basic kite control, power bodydragging and 'water start'), and then during next lessons we will concentrate on improving your board skills - starting/riding both sides, riding cross wind and eventually riding upwind and maybe even making some basic turns. Mean while we will cover other important elements, like upwind bodydraging and 'self rescue'. This is perfect course for those who live in the colder climate than Caribbean and want to learn basics (that require spending more time in the water than on the water) in the warm and shallow waters of Caribbean sea. It is a 3 x 3.5-hour course for shared lessons at 490 US$ ppers. It is a 3 x 2-hour course for private lessons at 490 US$.